3. 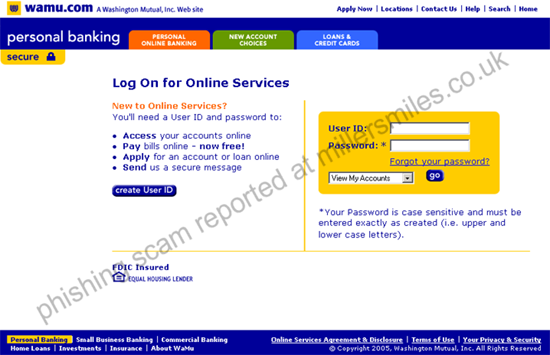 URL of spoof website disguised as https://internetbanking.wamu.com/l . This looks secure but is NOT! 4. Spoof website traced to Italy.
" Dear Wamu Member, We recently have determined that different computer have logged into your Online Banking account..."
account, and multiple password failures were present before the logons. within 24h , we will be forced to suspend your account as it may have been comrpomised. measure meant to help protect you and your account.